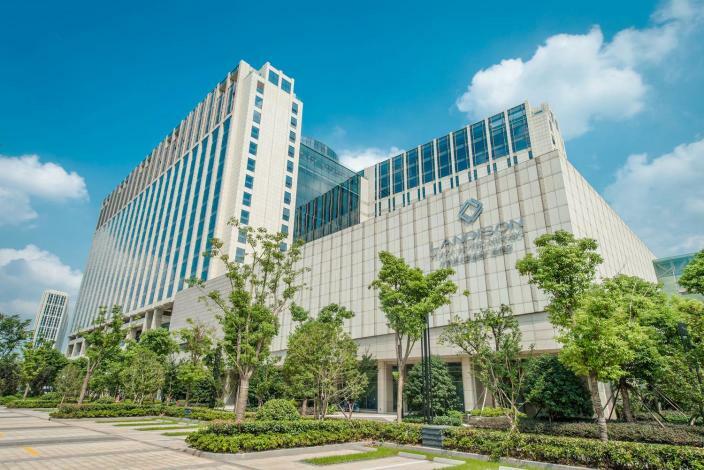 The Landison Plaza Hotel Ningbo is one of the newest hotels in Ningbo, having opened in 2016. The hotel is only 11km from Ningbo Railway Station and 21km from Lishe International Airport, giving guests a number of convenient transportation options. In addition, Haiyan North Road Metro Station is just a short walk away. There is no shortage of things to see in the area, with the Ningbo Science Exploration Center, Yule Bay Children's Social Experience Center of Ningbo Cultural Plaza and University of Ningbo all nearby. This hotel makes a great place to kick back and relax after a long day of sightseeing. Travelers requiring pickup service can book this directly through the hotel. Airport pickup can be arranged by the hotel upon request. This Ningbo hotel features parking on site. When it comes to Ningbo hotels, the Landison Plaza Hotel Ningbo is highly regarded for its excellent facilities. This hotel is a popular accommodation for guests traveling for business.